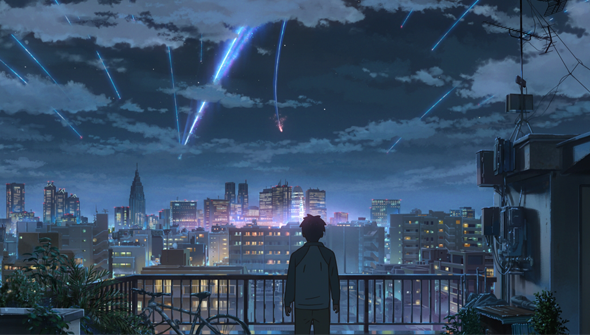 Makoto Shinkai's Your Name is a genuine Blockbuster, continually climbing Japan's all-time box-office rankings and topping the charts all over Asia. Now, it has another impressive record under its belt- this time from its release in the UK and Ireland. The film debuted at the London Film Festival and Scotland Loves Anime before opening in key cities on November 18th. Then came the single-day expansion to 104 screens on November 24th- the widest release ever for an anime feature in the territory. At least 26 of the locations were completely sold out too. On the 24th Your Name earned £108,372- which is the record for a single day gross. The movie will continue to screen at venues across the UK in coming weeks via Anime Limited- check out the website to see where. If there is no screening near you, you can also request a screening using the OurScreen platform. So far to date, the film has earned £138,048 in the UK and Ireland. In Japan, it has racked up a total of 19 Billion Yen (£139 million), and has recently surpassed Princess Mononoke's lifetime gross. It's still a fair way off Spirited Away's 30 Billion record though. Also this week, Funimation have confirmed that the film will be released theatrically in North America some time during 2017.